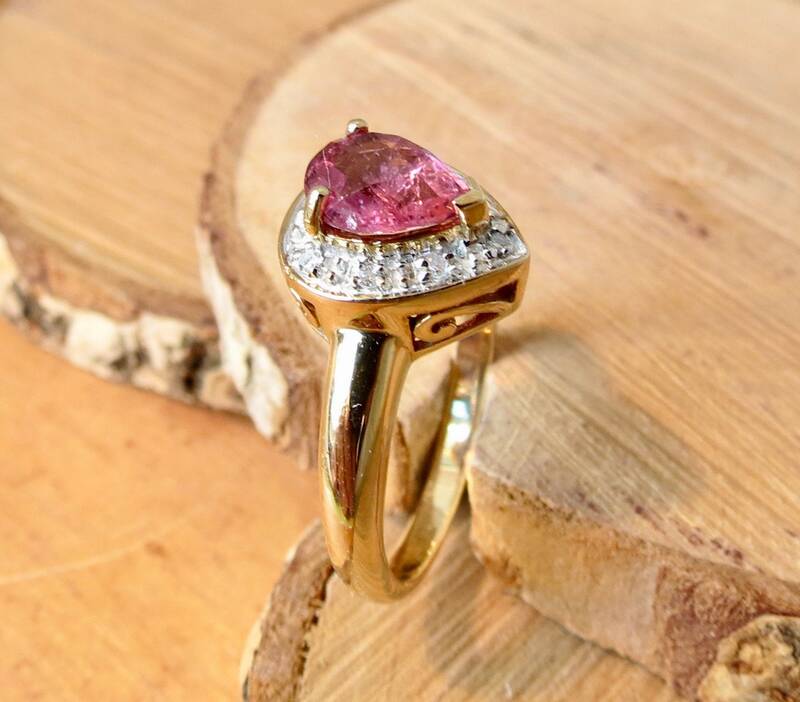 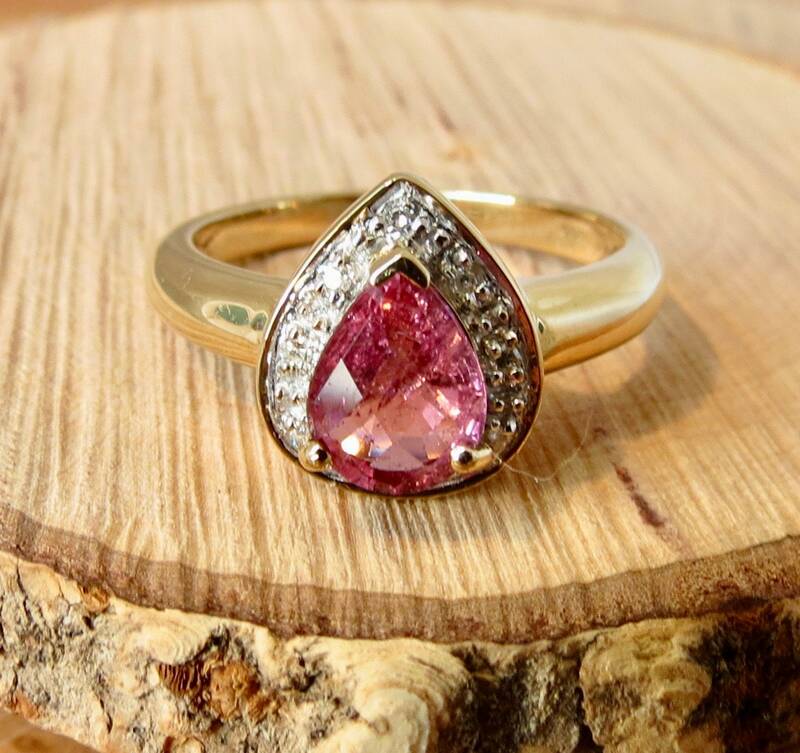 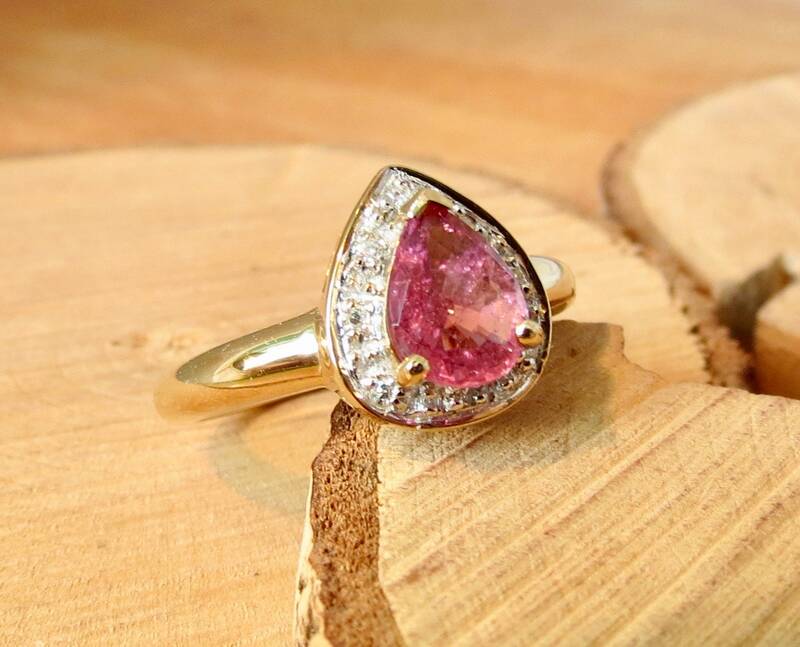 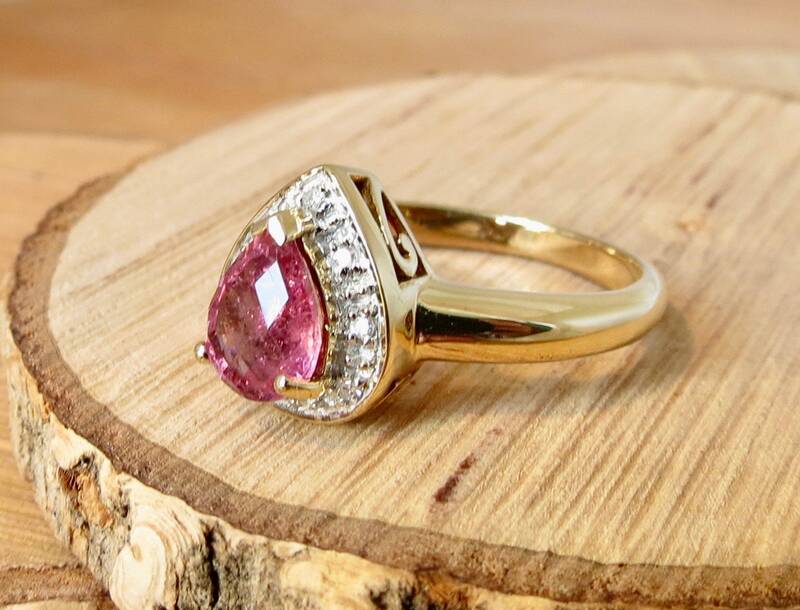 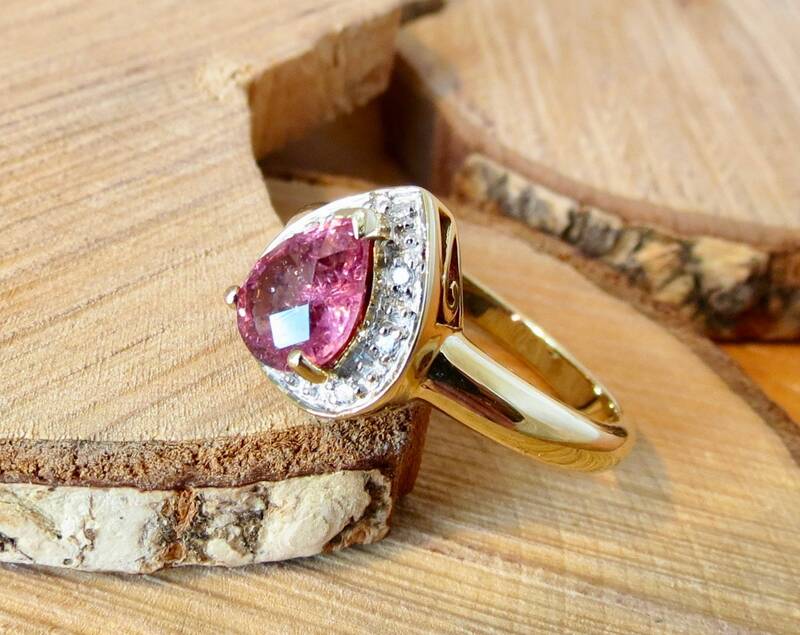 A 9k yellow gold ring with a pear facet cut pink tourmaline set in a halo brilliant cut diamonds. 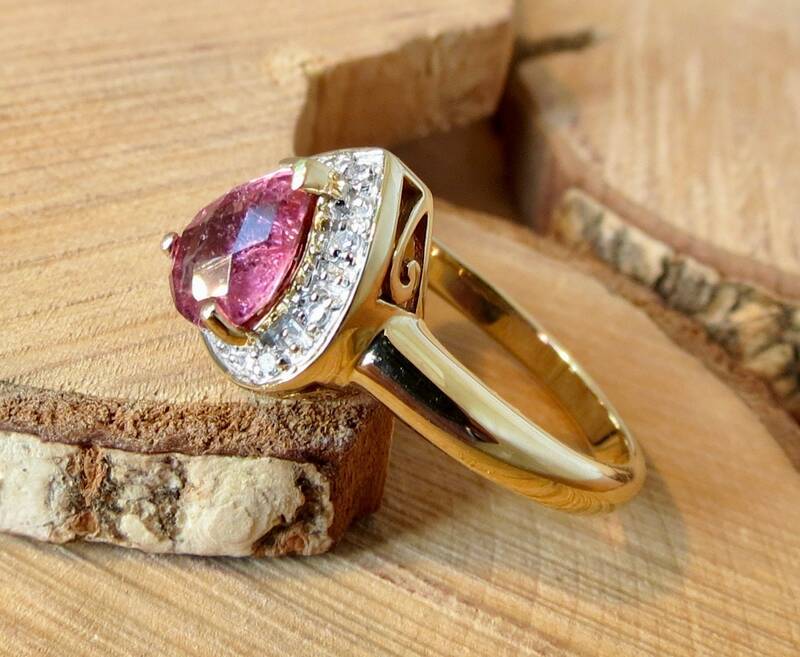 The setting has a decorated gallery which leads to a plain band. 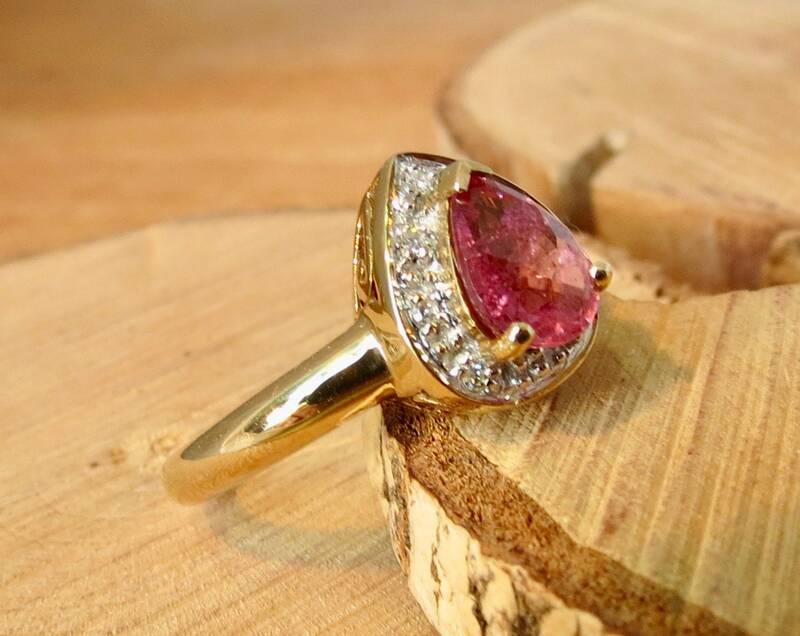 The natural tourmaline has a rich pink colour, and as a natural stone does have inclutions. 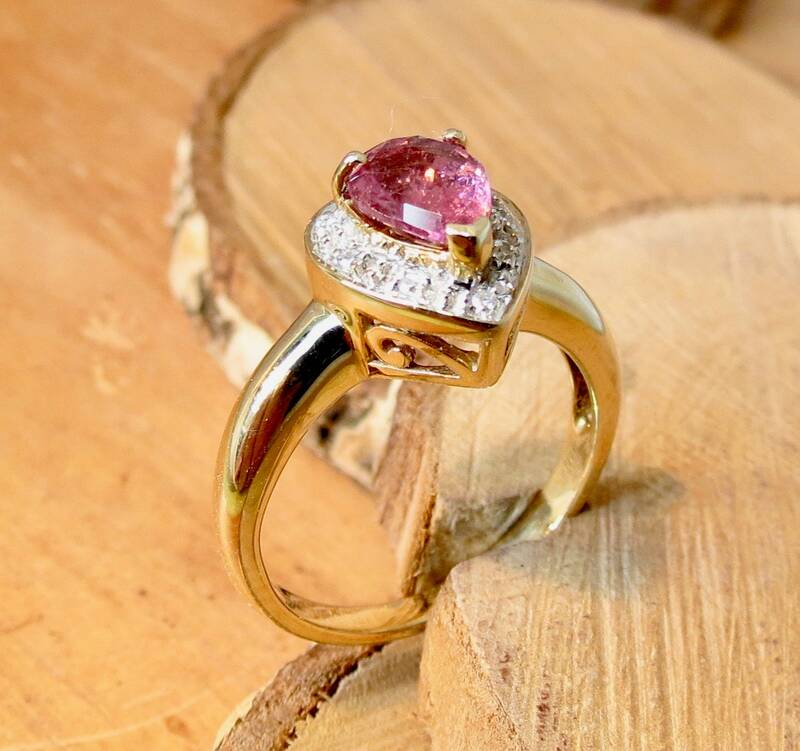 Fine condition throughout. 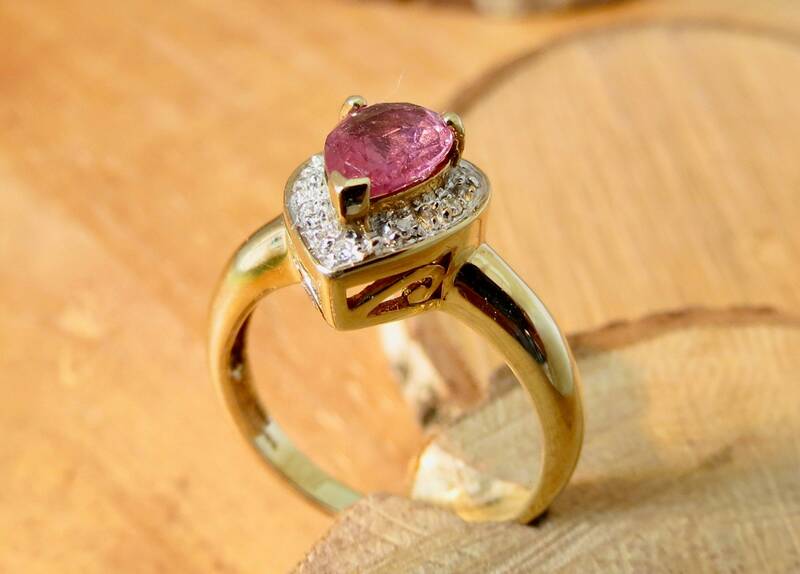 The Hallmark is British.